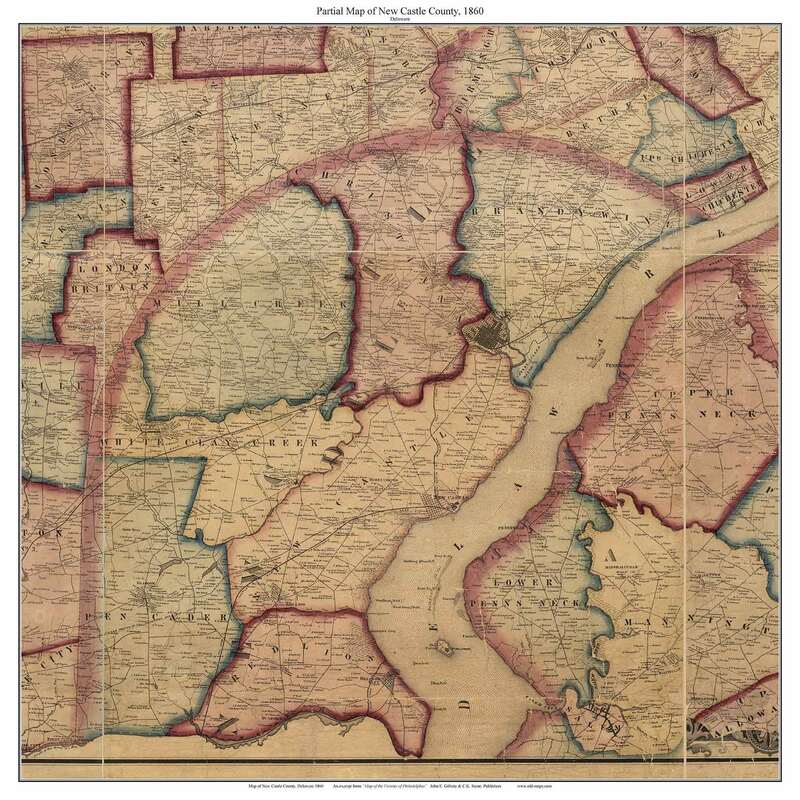 Click the button below to add the New Castle County Delaware 1860 - Partial Map - Old Map Custom Print to your wish list. Comments - This map is a custom excerpt from the "Map of the Vicinity of Philadelphia, 1860" by Gillette & Stone. It is a PARTIAL map of New Castle County, showing the 7 northernmost towns in the county as well as the City of Wilmington.